These days, Maserati is going strong and is poised to remain that way. It was rarely so in the 90-year history of the firm, thanks to a multitude of different owners with different ideas, and this book gives an account of that. 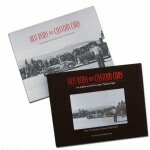 If you surmised from the subtitle that the book is more about the road than the racing cars, you’d be right. 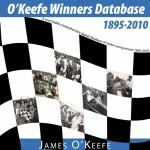 Piles of books have been written about the latter—and rightly so: 500 outright and innumerable class wins in 30 years of racing are heady stuff—there is no significant body of literature regarding the road cars. So, Buckley’s book truly fills a gap and does it very, very nicely. When you’ve finished reading it you’ll want to pay it the highest compliment a book can hope for: you want more! The book itself says nothing about the author. There is an Introduction but it only offers a bird’s eye view of the company history. 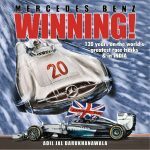 The book jacket devotes all of four words to him: “A lifelong Maserati devotee.” But that is just what gives this book substance! 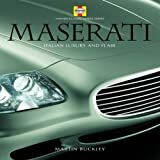 Buckley has owned Masers—and, literally more than a hundred others—and knows them not just on an intellectual, historical, or technical level but understands their essence and purpose; in other words not just what a Maserati does but what makes it different. Having walked the walk he is also fully cognizant of their—many!—foibles. This is nowhere more evident than in the Buying Hints he gives for all the models he discusses. They do not at all sugarcoat the fact that successful Maserati ownership is not for anemic wallets if you want a roadworthy car and not just a good-looking flowerpot. In this context it is worth knowing that Buckley has also had a stab at writing advertising copy for Eurospares, Europe’s leading supplier of Ferrari, Lamborghini, and Maserati parts and thus knows what parts are available and what they cost. You may also recognize Buckley’s name as a regular columnist and feature writer for Classic and Sportscar (which published his first feature at the tender age of 18, in 1985) as well as its rival, Classic Cars, and a number of other magazines and newspapers. He has also several automotive books under his belt; especially relevant to this Maserati book would be one other title in this Haynes Classic Makes Series, on Jaguar (50 Years of Speed and Style, now in its fourth printing). The whole point of a “series” is to have a particular approach to dealing with similar subjects, so whatever expectations a reader may have in terms of the book’s detail, treatment, size, or visual execution have to be tempered by the realization that the “format” imposes certain limitations on an author’s flights of fancy. Considering the book’s relatively small size it is all the more commendable how deftly Buckley breezes through the quite complex ownership history of the firm, even taking the space to not omit mention of the manufacture of machine tools, light (electric!) trucks, parts, powerboats, and motorcycles. The Maserati’s family background in various engineering activities makes it seem inevitable that the brothers should take an interest in driving and then building cars, first on a contract basis for others and then for themselves. Buckley rightly points out that, interesting as it is, the focus of the first few decades on racing has “little bearing” on the post-1947 shift into road cars of the Grand Touring flavor. 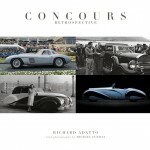 Divided by model, from the A6 1500 of 1946 to the 2009 model year GTs and Quattroportes, the book presents in text and photo a fairly detailed overview of how the cars came to be, how they relate/d to their peers, and what distinguishes them. Sidebars offer extracurricular material, for instance on OSCA, personalities, different racecars, the Boomerang concept car, the Citroën SM and Chrysler TC etc. Likewise technical specs are segregated from the text and gathered in tables, making them easy to find and compare across the model ranges. Each family of cars has its own sections on really insightful driving impression and buying tips. Having had cars on his brain for so many years as a professional and an enthusiast, Buckley has amassed a substantial archive of photos and sales material. This book, for instance, reproduces quite a number of the original Italian sales brochures. All but a handful of photos are from the same periods as the cars discussed which is particularly useful to the restorer. The photo captions are quite specific and all photos are credited. While there is the occasional styling buck or coachwork drawing not much is shown of the design process or construction. 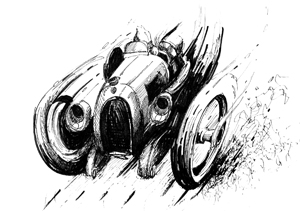 Coachwork is talked about only in passing, the emphasis being on technical and performance issues. Always a treat, there are three cutaways. And the Index, for once, is really user-oriented. For historical, political, and economic reasons the Italian auto industry presents a singularly fertile case study for examining how similar circumstances affected similar companies—but who went different ways. From Ferrari to Bianchi, all started out holding similar cards and especially in the early years, their paths crossed in all sorts of permutations. 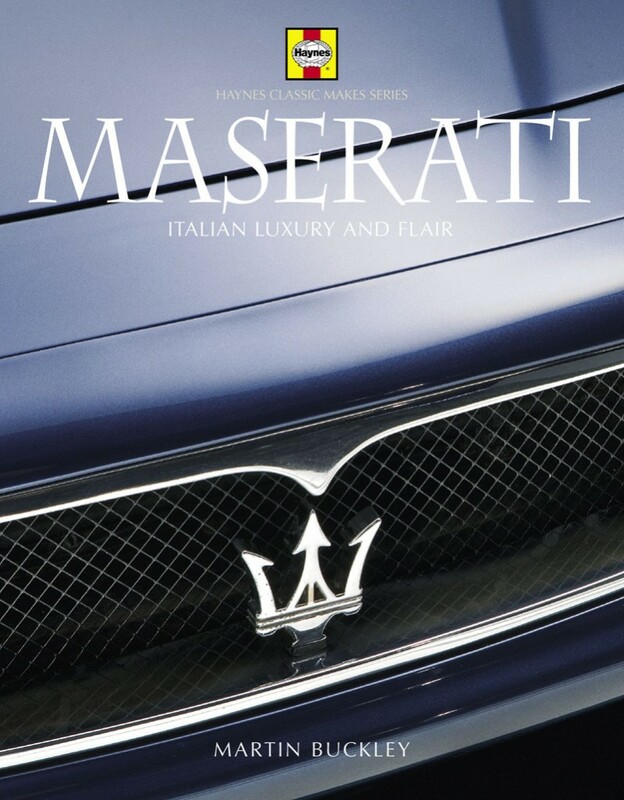 It is outside the scope of this book to reflect in detail upon why a Maserati is more like a Lamborghini and less like an Alfa but not like a Ferrari, leaving room for thought for the curious reader. A welcome and worthy addition to the literature.